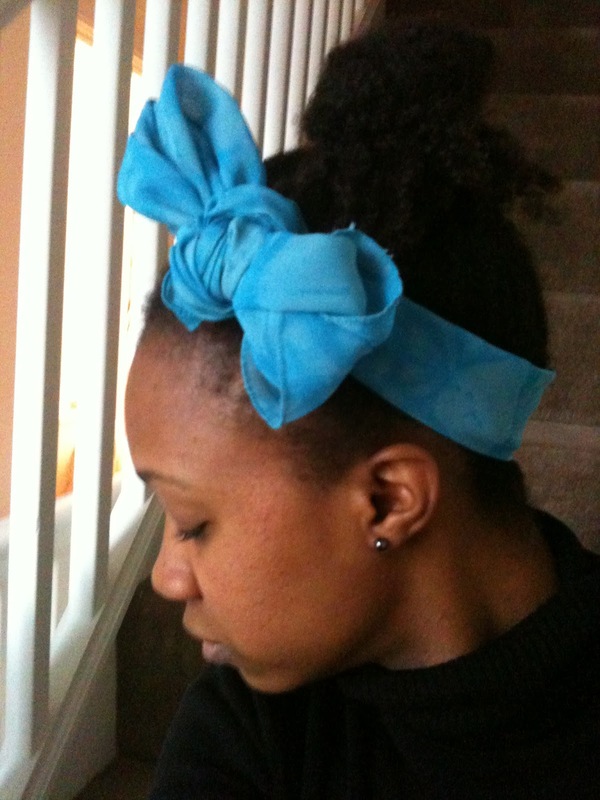 I love experimenting with head scarves. 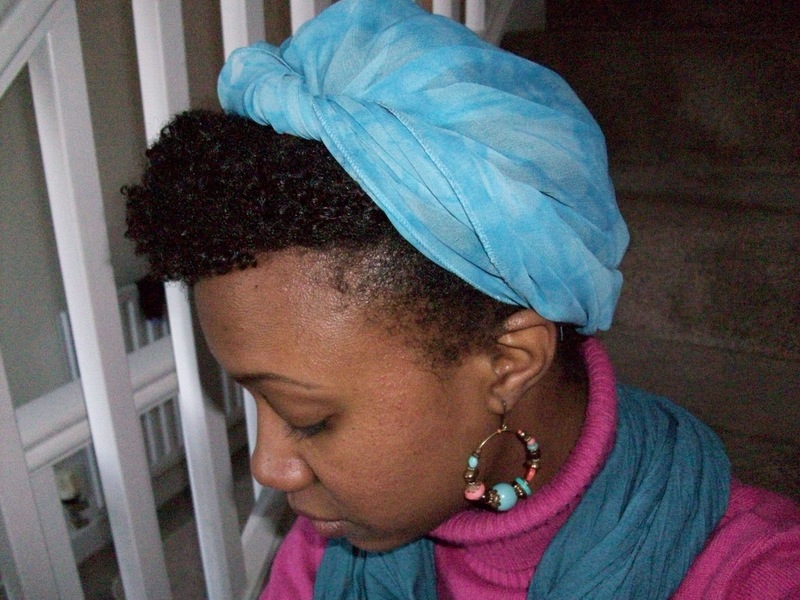 It’s such a simple way to accessories and protect your hair at the same time. With winter looming around for a lot longer than expected ‘BRITISH WEATHER! 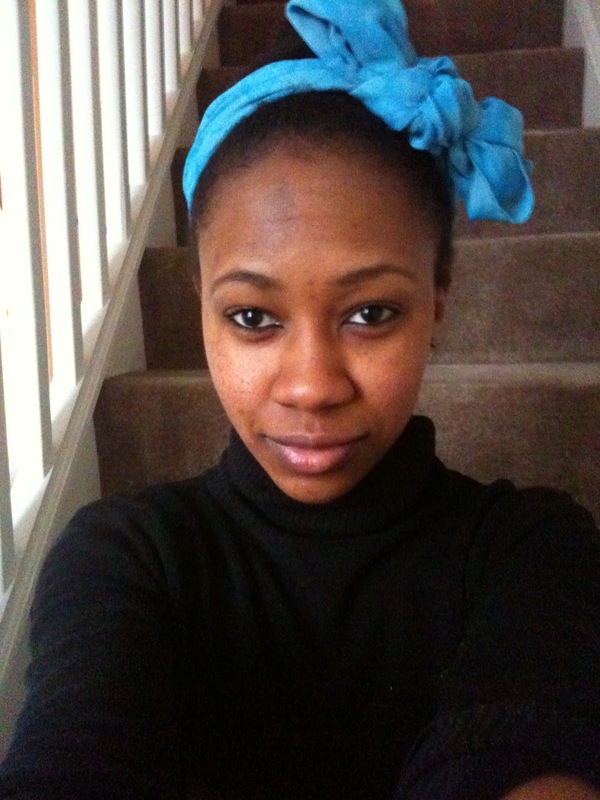 !’ I’ve found that exploring different ways to protect my hair with head scarves, a fun way to occupy my time. The styles I’ve done are really simple and have come to me mostly when I’m in a hurry to leave the house and don’t have enough time to get my twists out or do anything with my hair. It’s been a HUGE BONUS because my hair remains tangle free and is already in twists ready for bed at night.. WINNER!! 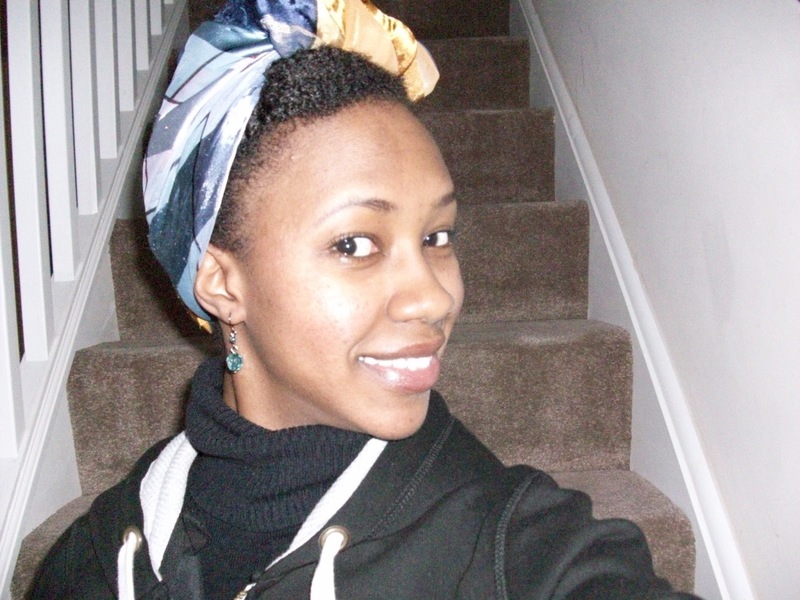 Here are a few looks that I’ve tried to create with satin scarves. With this look I got a satin scarf and folded it in half. 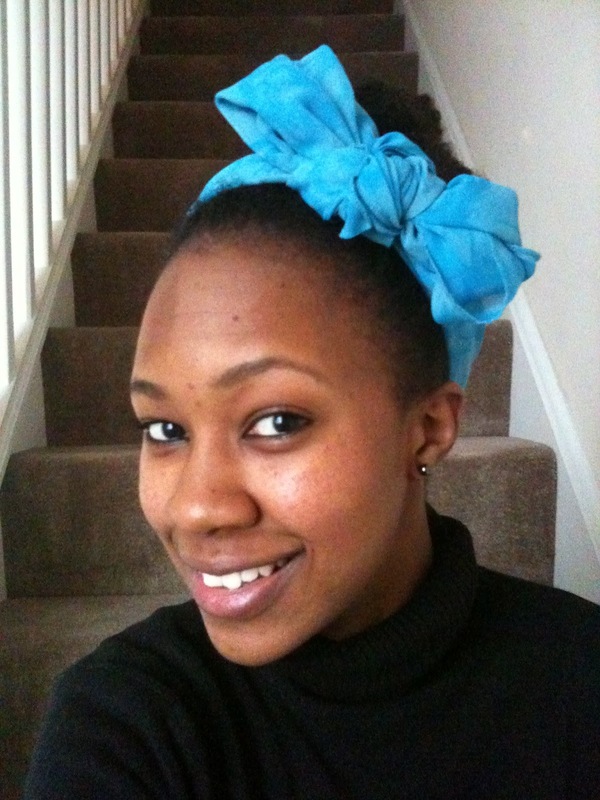 I used a rectangular scarf that’s been so well utilised it stretches into a triangle shape when folded in half. A triangular scarf will probably give you a better finish. Tilt your head forward and place the triangular shaped scarf with the horizontal base of the scarf at the back of your head, the pointed end of the triangle resting at the top of your forehead with the two ‘equal’ sides on either side of your head. Tie a knot using the ends on either side of your head over the tip that’s resting on your forehead. Take the tip that’s resting on your forehead and fold it over the knot and tuck all the ends underneath the knot. 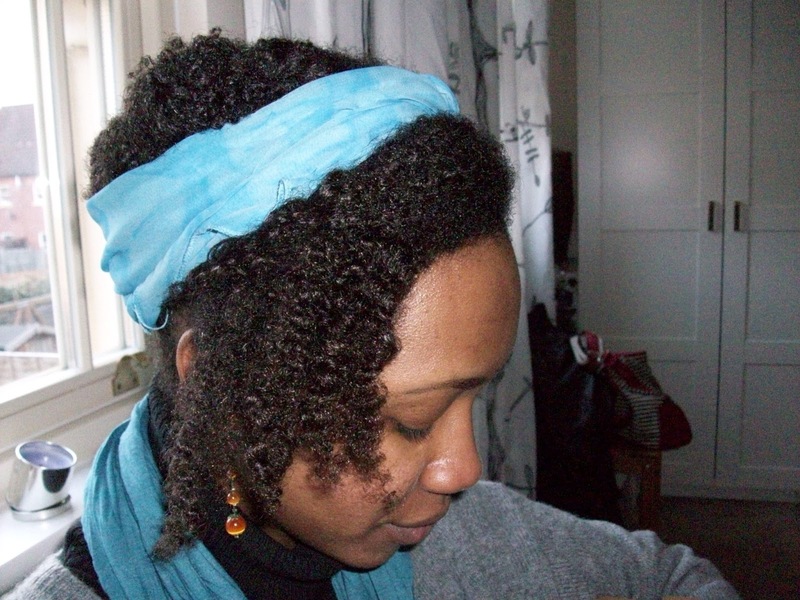 Another option is to tuck the ends underneath the scarf at the nape of your neck. BE GENTLE WHILE TUCKING… careful not to trap or pull any hair. That’s all there is to it!! You can have a bit of hair out or keep those ends tucked in. 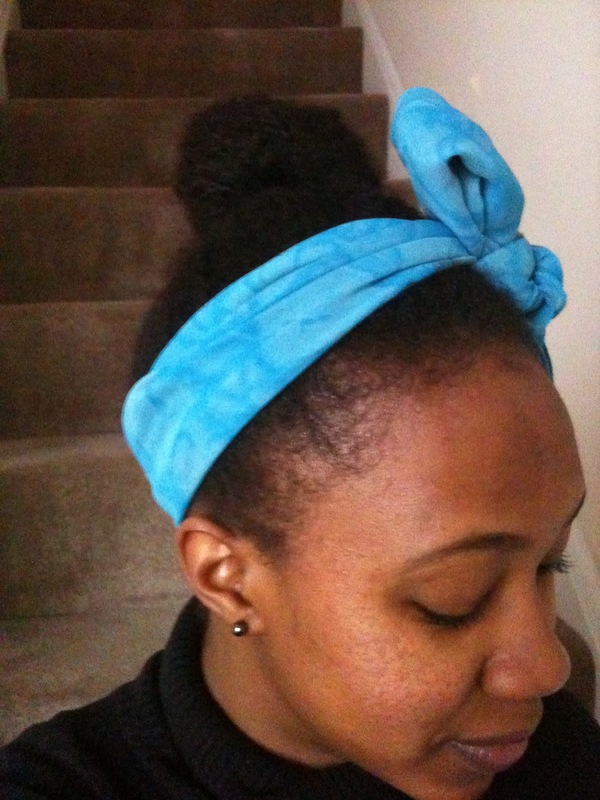 I had bantu-knots underneath.. Same look as #1 only this time with a section of hair out. I took my ends and gently pulled them to the opposite side and secured them with a pin to create this look. 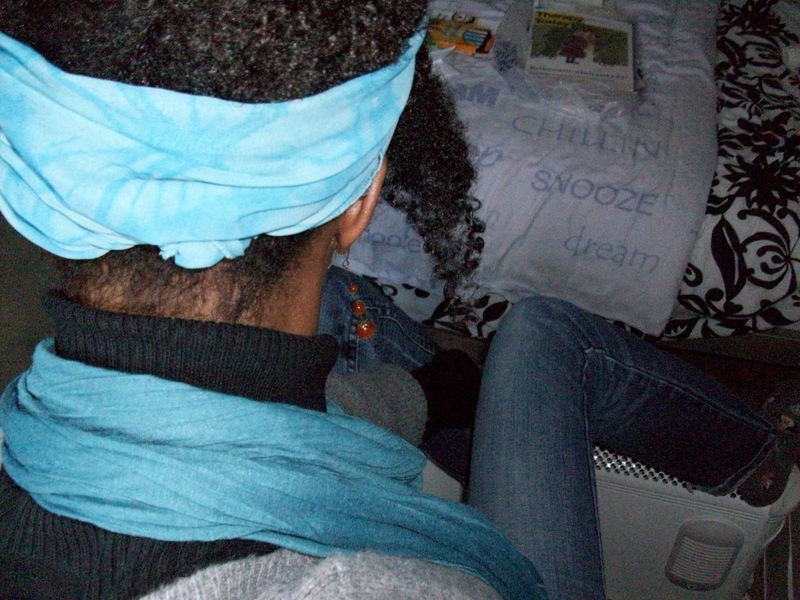 I tucked the ends on either side of the scarf after tying a knot at the top of my head. 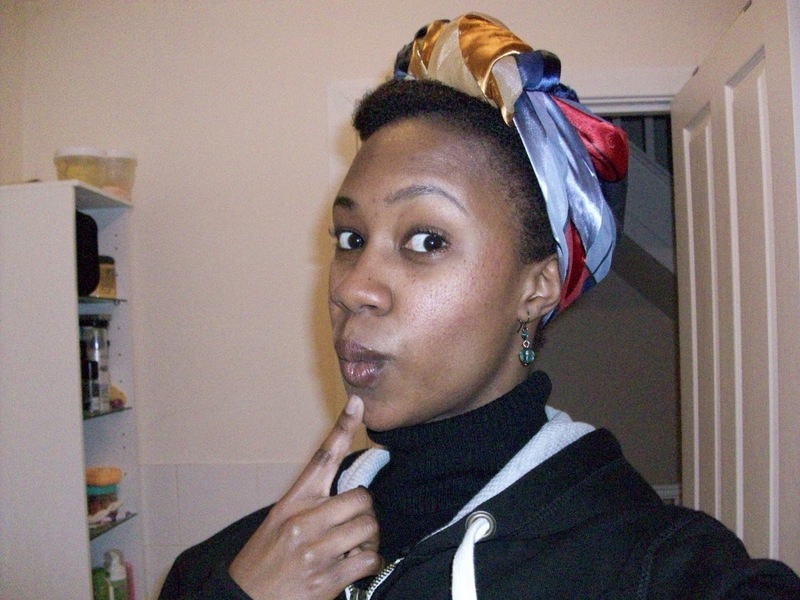 Because I used a rectangular scarf that was also smaller I got a different result. 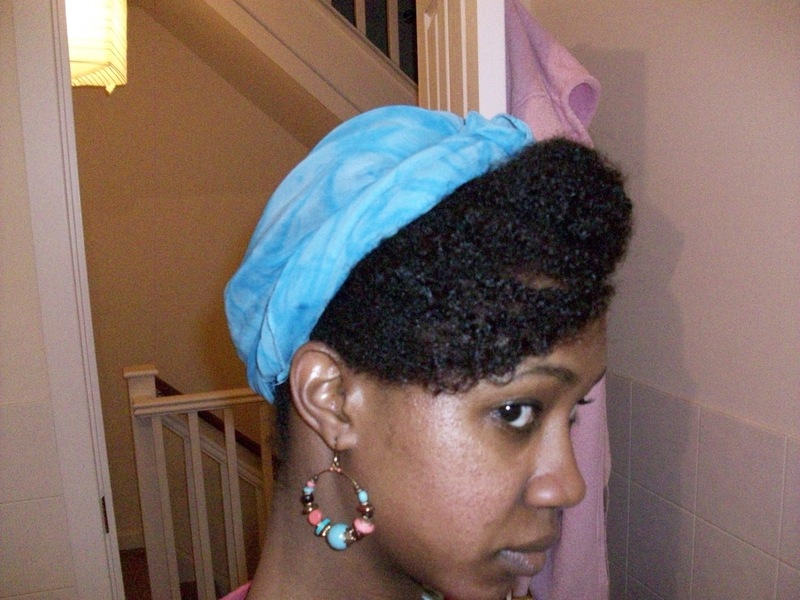 With this look I did a twist out and sectioned my hair in 2 parts. 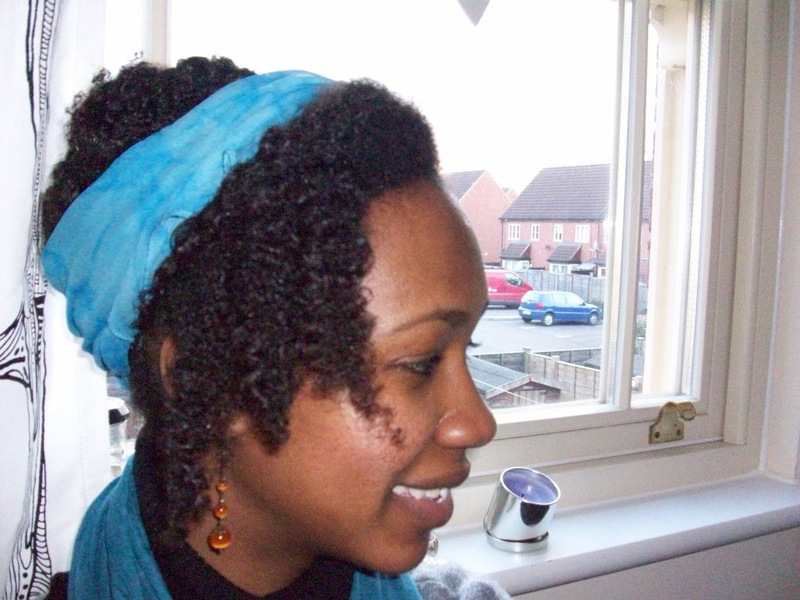 I was hoping to recreate a look I’d come across with a cut fro sticking up above my scarf, but since I didn’t have the length to pull that look off I opted to do a very loose single twist to protect my ends. Again fold the scarf to you desired width and secure with a knot at the top and then again at the nape of your neck and tuck in any loose ends. 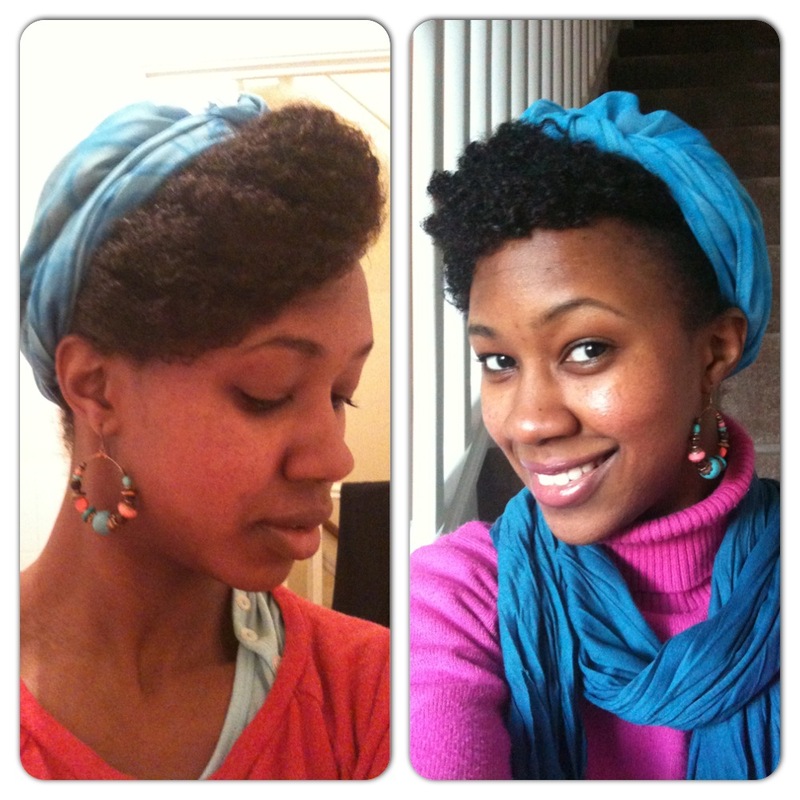 So there you have it… don’t be afraid to experiment & share any looks or tips you have for head scarves.